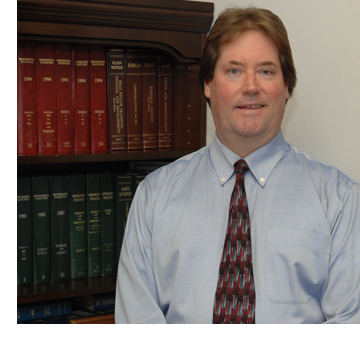 My name is John McIntosh and I am the sole proprietor of McIntosh Law Offices. I have been practicing law for over 30 years. My law practice is limited to the area of family law. Family law generally includes such things as divorce, paternity, child custody and parenting time, child support, adoption, domestic abuse, mediation, pre-nuptial agreements, post decree modifications and many related issues. I have experience in other areas of the law, however over the course of practice I have become more comfortable having expertise in a limited area, rather than attempting to master multiple areas of the law. Family law is broad and often challenging specialty area in and of itself and in dealing with such important and sensitive issues, there is no substitute for experience and expertise. I have built my practice on quality, not quantity. Like in many businesses, some lawyers and law firms seek to maximize their incomes by focusing on the number of cases and clients they can turn over. My measure of success on the other hand, is providing direct personal service and the best possible results in a cost effective manner tailored to the individual needs of the case and client. Even as a sole practitioner limited to the practice to family law, I have a well-developed network of other lawyers specializing in every area of the law along with mediators, investigators, evaluators, therapists and other professionals to serve all of your legal needs. If I can’t help you, I can get you into good hands and referrals from good sources are far better than cold calls or short interviews in selecting your legal services. Experience and specialization lead to efficiency and economy and getting the job done properly. I offer prospective clients or interested persons a free initial consultation. If you are in need of good legal advice or thinking about divorce or some other family law matter, please feel free to call McIntosh Law Office at 763-682-1882 and we will be happy to discuss the matter with you at no cost and help you get pointed in the right direction. McIntosh Law Office will help you understand the issues you face, the process of resolving those issues and the costs, fees and time frames involved. Good legal advice will help reduce the stress and uncertainty that comes with big life changes and important legal issues. Call John McIntosh at McIntosh Law Office now at 763-682-1882. Mcintosh Law Copyright 2018. All Rights Reserved.